Attn Contractors! Tool Days are Coming! 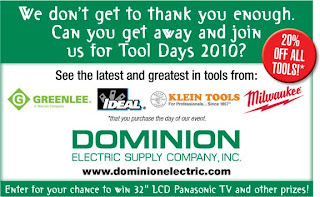 Stop by to enter our drawing for a 32" Panasonic TV and other fabulous prizes. And save 20% on any tools you purchase during our events. 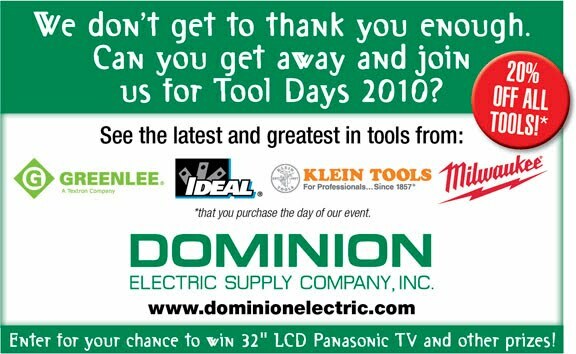 Plus we will have other tool specials running: like a free Greenlee GT-12 Volt Tick with any Greenlee bag purchase.